CREAL3D recently gave a live demo of their prototype light field displays at CES 2019 in Las Vegas. What stuck out for us about this display, is that the company says their technology doesn’t require a microlens array to create light fields. Instead of a single light field, the proposed device emits several smaller pinhole-aperture light fields, which are guided to the eye by use of mirrors. 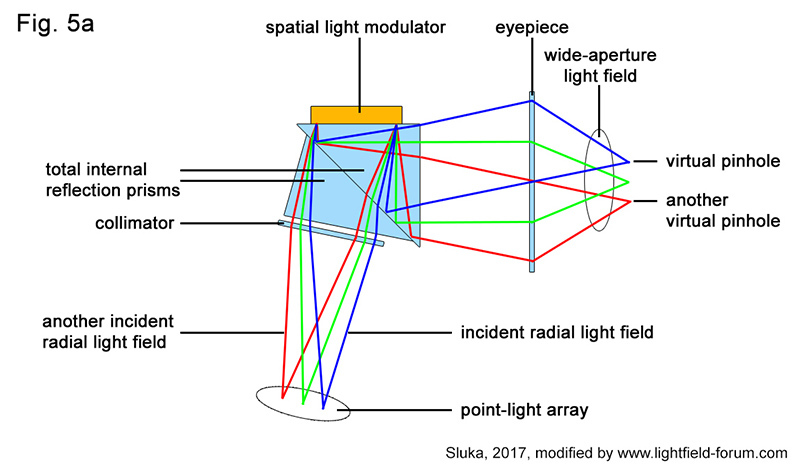 These smaller light fields can be produced using a pinhole mask in front of multiple LEDs, or with individual diodes coupled with an optical fiber whose exit point acts as a point light. The author also mentions the use of fiber optics splitters, moving diodes, or moving mirrors as alternative possibilities. 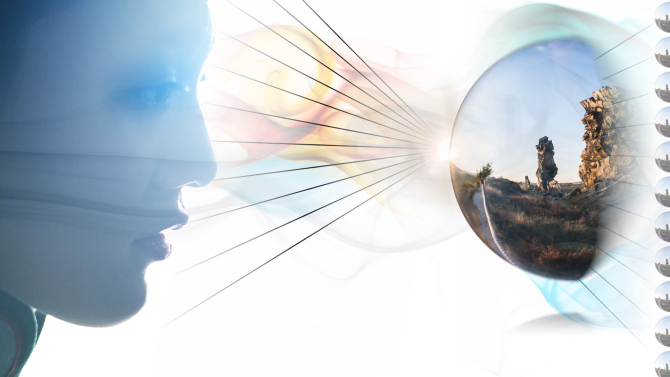 Several of these sub-light fields are then selectively combined into a single light field by use of a spatial light modulator (SLM). 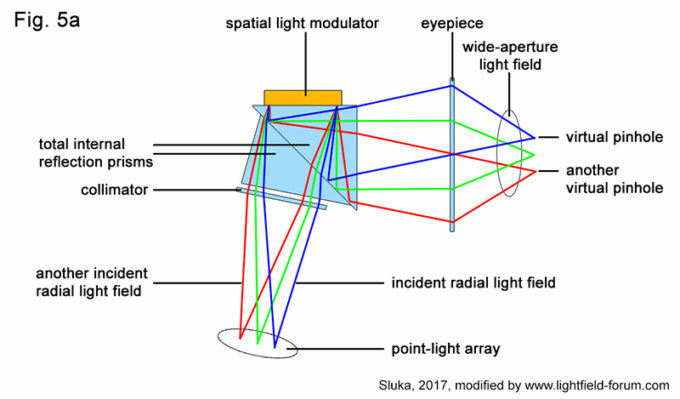 The SLM, again, can use a range of mechanisms to selectively guide light rays or pin-hole light fields into or out of view, depending on which partial light fields are required to form a scene. 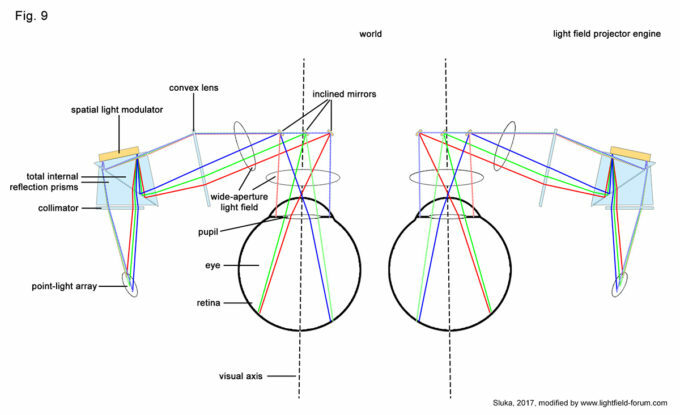 The prime SLM example described in the patent application is a digital micromirror device – a set of electronically controlled tilting mirrors – but can be “any reflective light modulator” or “a transmissive light modulator combined with a reflective surface” (e.g. a matrix of controlled transparent/opaque “pixels” in front of a static mirror).